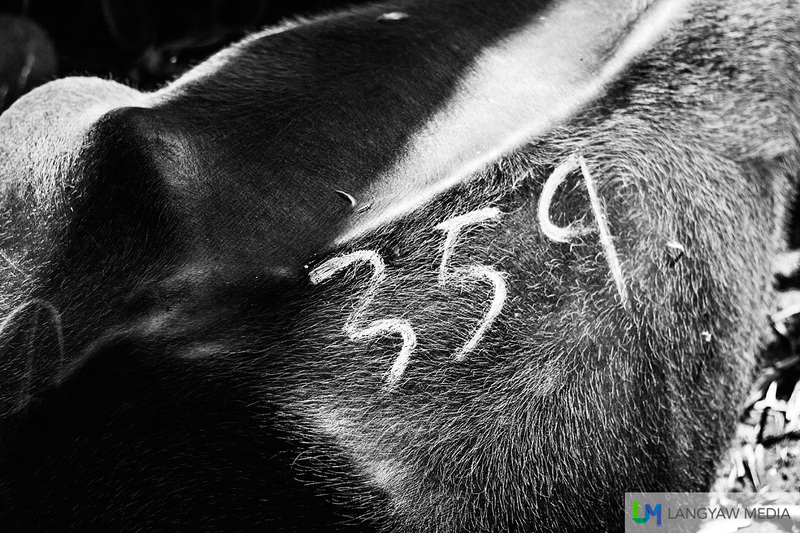 A cloud of dust hung in the air as boisterous livestock were everywhere. 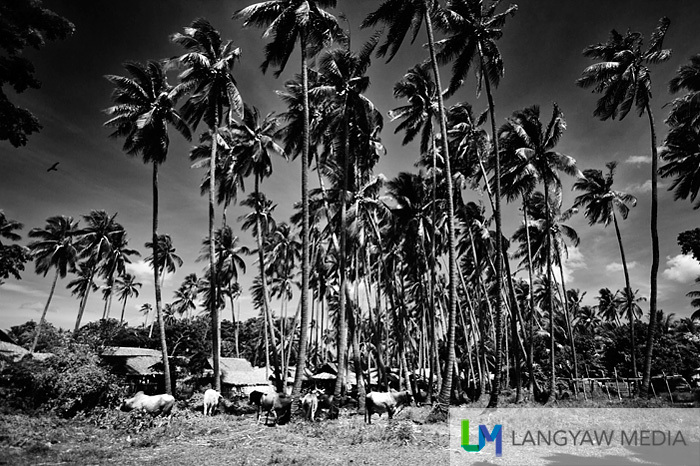 There were cows, carabaos, pigs and goats in between throngs of people under the uncaring gaze of slender and tall coconut trees. 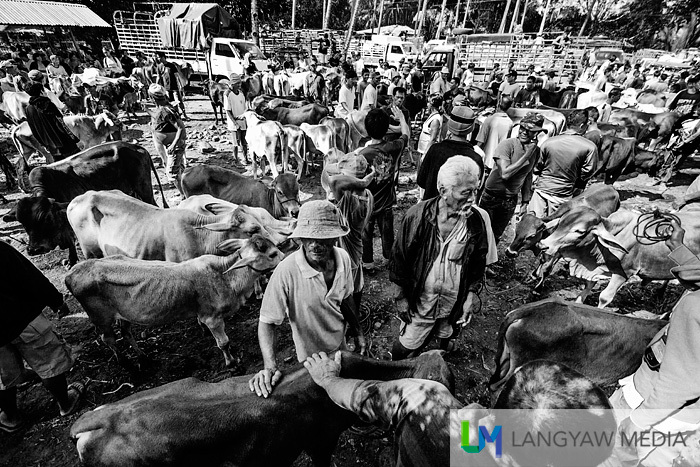 It was Wednesday and for the barangay of Malatapay, in the municipality of Zamboanguita, Negros Oriental, it was livestock market day. I was told that sellers and buyers come from all over Negros and even Cebu. 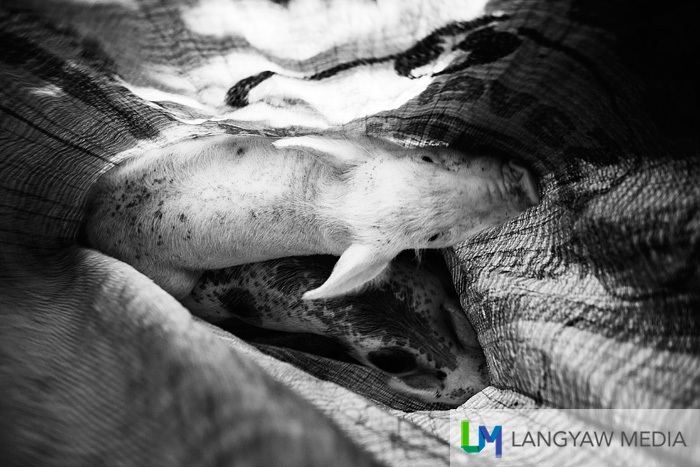 Piglets inside wooden pens or sack being checked by buyers. 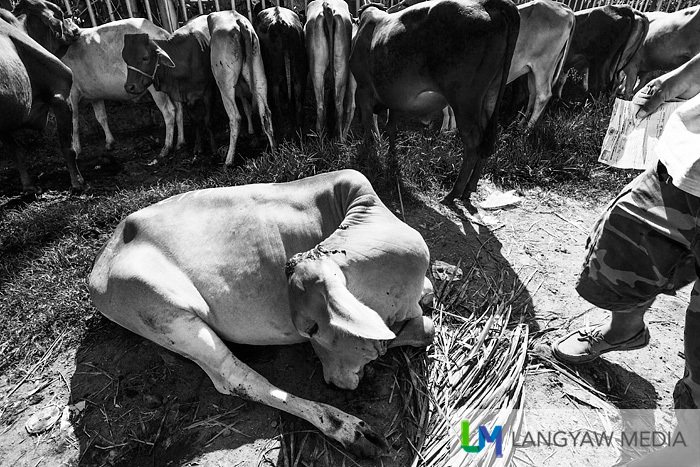 A seller is dragging a hesitant calf, probably oblivious of its fate. 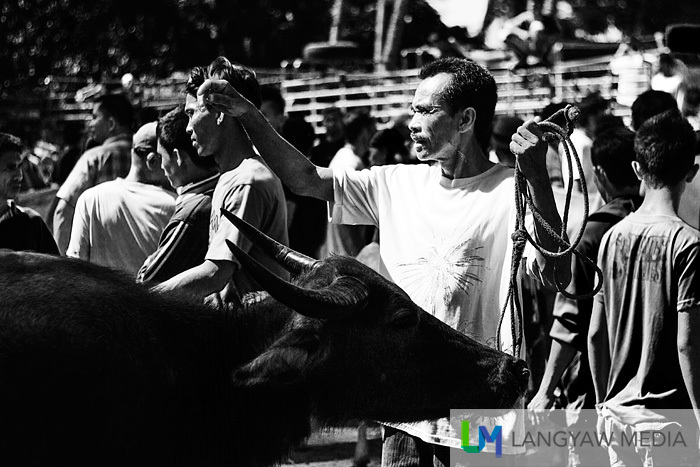 While several carabaos were tied to a fence at one area, bundles of pesos were being exchanged at another. 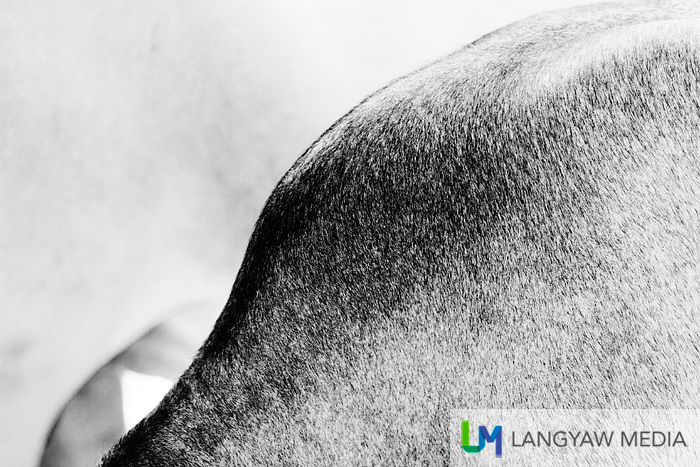 But the market has a unique way of selling via auction: hong-hong (whisper). There’s no loud shouts of prices but instead, hand motions, whispers and either a nod or a shaking of heads. If the price is acceptable, money change hands. If not, another will whisper his bid. It’s a lively open market. People are laughing, some looked seriously. 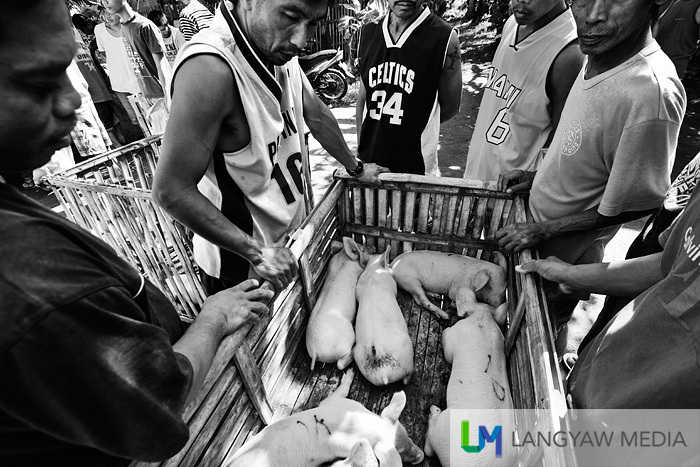 There were crying pigs being led to a cage or a man carrying his pig after a sale. People come and go as livestock is being led into the fenced bidding area. Just another Wednesday livestock market in Malatapay. HOW TO GET THERE: From Dumaguete City, ride a jeep bound for Zamboanguita. Jeepneys pass by infront of Robinsons. Tell the driver to drop you off at Malatapay. Its better to alight at the junction and walk to the open market. This is also the way where one can ride a pumpboat for Apo Island.